I’ve been abiding by specific recipes for quite some time. In the process, I’ve acquired new tastes and techniques that gave me the confidence to be creative when I cook my own dishes. Needless to say, I’ve been having so much fun with this new sway. 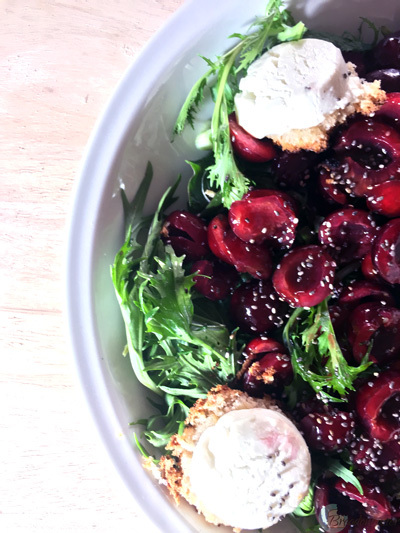 Yesterday, given the huge amount of cherries in our fridge, I decided to make a special salad I think you’ll love and adopt. It’s simple and forms a delicious mix of sweet and sour that is guaranteed to satisfy your palate. It can be served as a starter and can also be a healthy lunch or dinner choice. The chia seeds sprinkled on top are an excellent source of fiber and energy. Here’s the recipe. In a bowl, mix the balsamic vinegar, lemon juice and olive oil. Add the pitted cherries and toss to combine. Set aside for 30 minutes to 2 hours, depending on how early you’re making it. 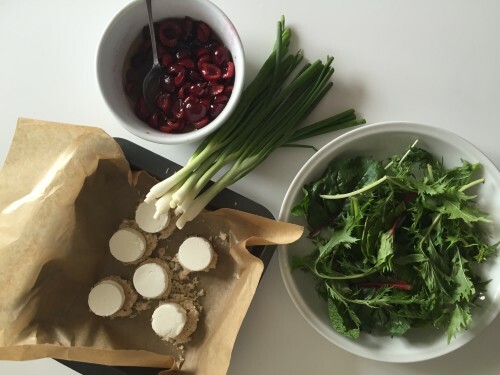 In an oven dish, place the bread and top each piece with a piece of goat cheese. Place them in the oven for around 10 minutes or until the cheese and bread are slightly golden. Just before sitting down to eat, place the lettuce and the spring onions in a serving bowl. 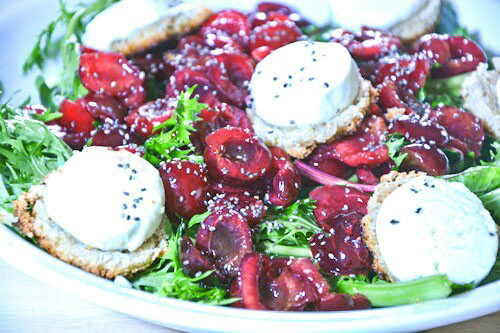 Top with the marinated cherries and their sauce, then decorate with the bread and goat cheese. 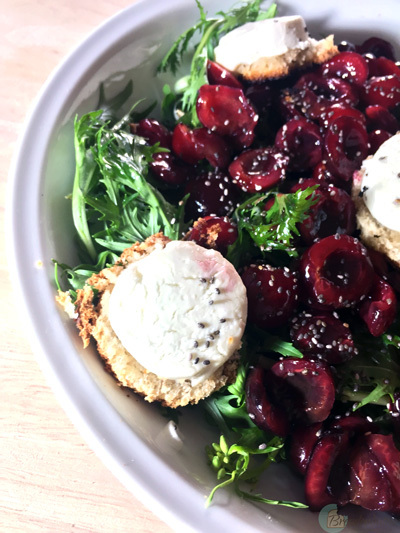 Sprinkle chia seeds on top and enjoy the delicious flavors! 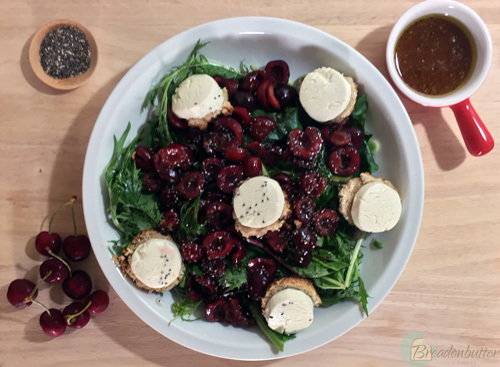 For those who would like to add some extra dressing, you can mix the same proportions of balsamic vinegar, lemon juice and olive oil in a bowl and pour it on top of your salad.